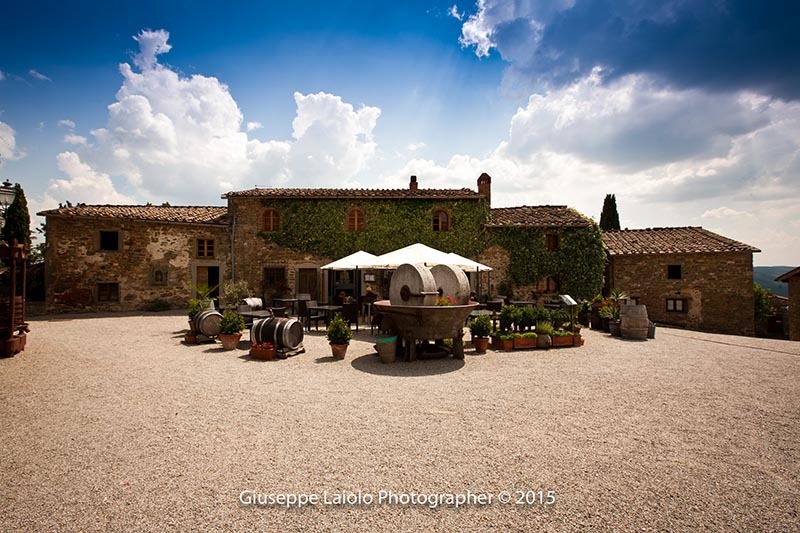 Borgo Castelvecchi is an agriturismo (or countryside hotel) in Radda in Chianti near Siena that can give accommodation to approximately 100 guests, in rooms and apartments, located in the elegant 18th century manor house and in the typical stone buildings that enclose the cosy courtyard of the Borgo, an antique residence in traditional Tuscan architecture. This countryside hotel in Chianti, Tuscany also features a swimming pool with a breathtaking panoramic view over the Radda valley. 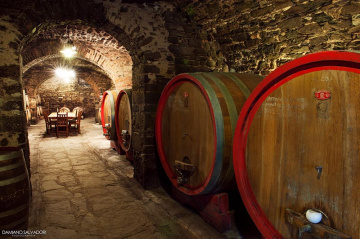 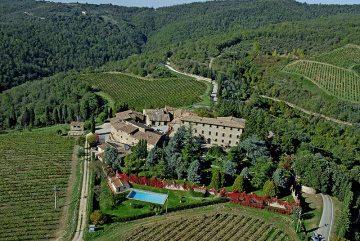 From Borgo Castelvecchi you can enjoy trekking and excursions in the stunning Chianti vineyards and woods. Our Agriturismo near Siena is the ideal starting point for itineraries across a charming land which is also rich in art and culture. 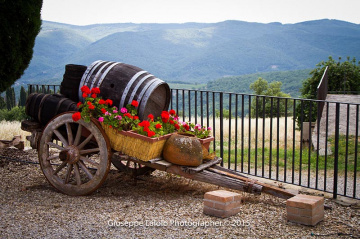 A cradle of traditions and artistic memories, the Chianti zone never fails to surprise and enchant curious visitors who wish to explore the beauty of the area, preserved in the old villages scattered from Florence and its thriving Renaissance style to medieval Siena and up to Arezzo, the birthplace of Giorgio Vasari. 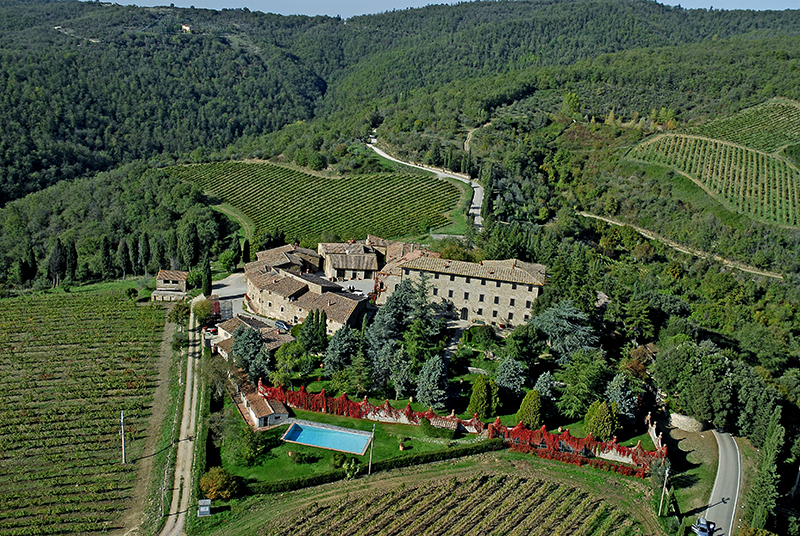 Perfectly preserved historical architecture and art welcome us in San Gimignano, where the city centre still has its 13th-14th century original appearance, characterised by many towers and one of the best examples of the urban organisation that distinguished the Italian city-states, the “Comuni”. 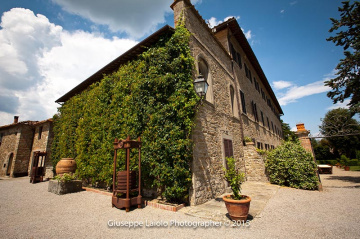 Borgo Castelvecchi, an exclusive countryside hotel in Chianti, successfully combines the pleasure of an pleasant and comfortable stay with a strategic position for sightseeing: the right venue for an unforgettable holiday in beautiful Tuscany.